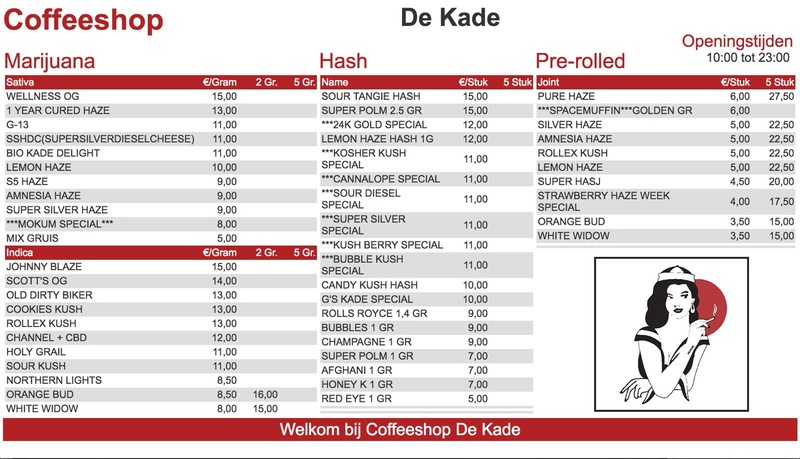 The location of coffeeshop de Kade is close to the old Olympic Stadium in the south of Amsterdam. Locals and tourists. Excellent coffee from real Amsterdam budtender Miss Mil and always in the mood for a nice chat with the original Amsterdam tongue. Wide range of products. One of the top 5 coffeshops in amsterdam. Love the people who work there specially the amazing ladys.